Looks great Thanks for sharing snaps. btw, when it will be live? Now that’s something to be proud of and look forward to – fantastic! ps. avatars look a tad huge? Cool one Sam… Really Nice…..
My first thought is “That’s cute!” It’s both cute and professional and it looks like a site to be proud of. Yay! AWESOME! You the man, Sam. What I lover in this design (apart of its obvious elenage) is the “home” link. I know it’s easy to add by hand, but I dont like tweaking themes (and files) because this makes updates always touchy. It looks good, but are those avatars supposed to be gravatars, becuase Im certain gravatars are only 80×80… which means bbpress.org will be using plugins? You can stretch out gavatars if you want. Most scale pretty well. I’ll release anything interesting that comes out of the work, but so far it’s pretty standard stuff. The two column layout is a big improvement too, helps organize the content better and keeps it at out fingertips. 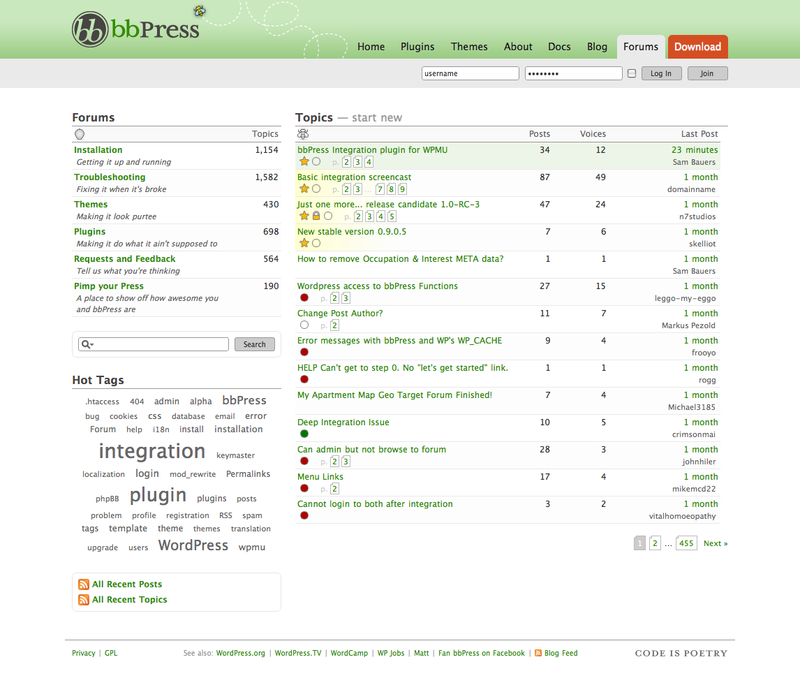 Can I infer from the “Themes” link that bbPress will have an official theme directory soon? It’s on the drawing board yes. Can’t say when that part will get there. 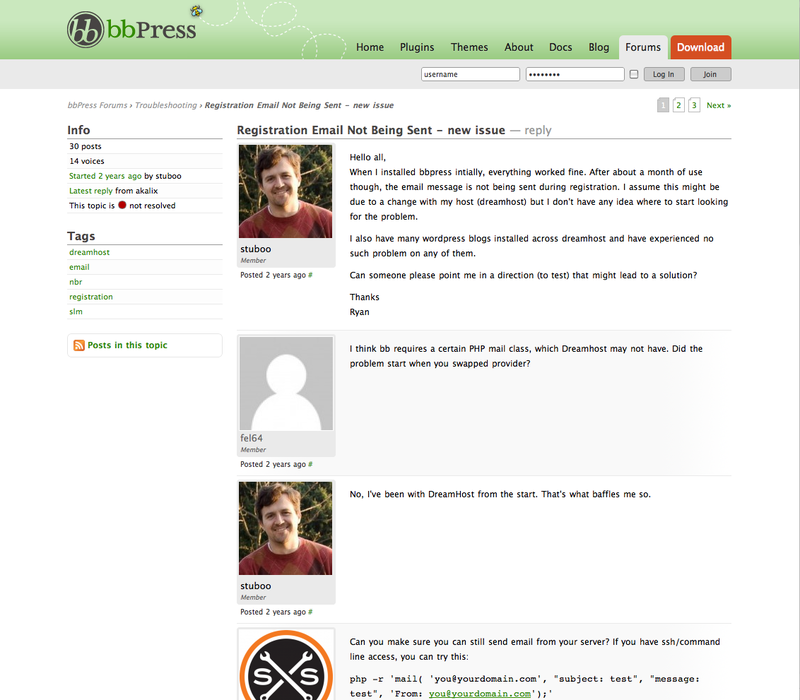 It’s good to hear that bbPress themes will get their own home eventually. No hurry though, I don’t have any themes ready to share yet! Looks great, Sam! I like the avatar size… would be nice to add Gravatar size options in the admin panel (hint). Just set it in the various places in your theme. very cool! when the new site online? Needless to say, not the solution I wanted but it worked. Looks great! I quite like the gravatar size, the current ones are way too small IMO. I don’t understand why the bees are everywhere though.